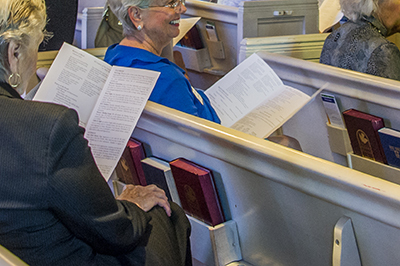 Come join our congregation and experience our unique worship format and engage with our community. We offer three services each Sunday from September through August, allowing you to choose to participate in communion, attend worship with your youngest family members in a casual environment, or attend a traditional service. Age-specific programs also take place for children and youth. For details, visit our About Us page. If you are unable to attend in person, we invite you to view worship live online on Sunday at 10:30 a.m. Central Standard Time. Summer hours are 10 a.m. from Memorial Day to Labor Day. 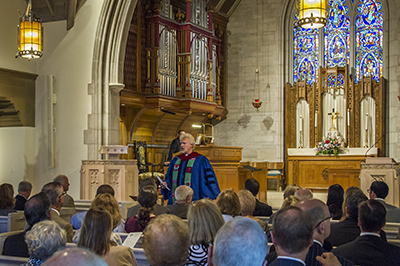 A few days prior to the service, you may preview a copy of the Sunday bulletin. 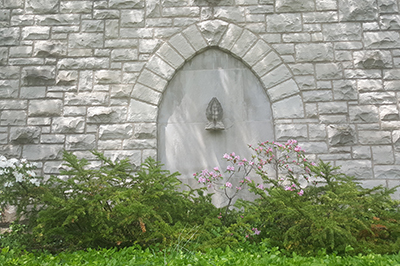 Please join us on Tuesdays at 12:15 p.m. in the Schmidt Chapel for a brief prayer service when we lift the joys and concerns of members and requests from those who are present. Each week offers a new liturgy as we read through scriptures and hear a brief reflection. All are welcome. In addition, on the first Tuesday of each month, we celebrate communion in addition to the prayers. If you would like to request a prayer please fill out a prayer request form found in the pews or online here. Join us in person in the Schmidt Chapel, or remotely by texting @KUCprayer to 81010 ahead of time to receive a short prayer. You will receive a message from “remind,” “You’ve joined Prayer!” and provide a link to download the “remind” app. This is optional, to receive the weekly prayer text in your regular text application, do not download the “remind” app.